Now I don’t want to talk about mechanics here, I might do that in a future blog post once I actually get to try out the system with my gaming group (because they actually seem pretty interesting). No, this post is reserved for something special, something I like to call: The Uncanny Valley of Roleplaying Games. Okay, so here’s the deal with 7th Sea: It is an epic swashbuckling RPG with some intriguing fantasy elements thrown in for good measure. And that’s pretty awesome right up front. However, the creative worldbuilding kind of stops right there and develops into something very awkward when you start reading about the geography, politics and history of Théah, 7th Sea’s native setting. You see, AEG tried to do everyone a favor by making Théah incredibly similar – almost identical really – to historical Europe. A favor for them, because they wouldn’t have to create a completely new mythology and history for their world, and a supposed favor for us, as it makes it easier for players to get into the world and understand its workings. Now I agree with some of this: Upon first reading, I immediately felt at home with the culture(s) of Théah and had a pretty good image of the setting in my head right from the get go. The 7 nations of Théah are all modelled after the big players in European history: “Avalon” is the United Kingdom, “Eisen” is Germany, “Castille” is Spain, “Montaigne” is France, “Ussura” is Russia, “Vodacce” is Italy and “Vendel” is Scandinavia. Beyond the borders, you also have the “Empire of the Crescent Moon” (Middle East) and “Cathay” (Far East). The topography is also very similar to Europe, but unique enough that it warrants its own map (see below). If you can read German, open this map in full-size view and have a laugh at the place names of the Eisen nation. Stupid place names aside, where the game really shattered my suspension of disbelief was the chapter about the historical events in the world of Théah. With some miniscule exceptions, just about everything you read there is a conspicuous reference – no, copy might be a better word – of European history, right down to the names of its key players. I chuckled when I read about the First Prophet founding the Vaticine Church, I shifted uncomfortably when the great unifier Emperor Carleman was introduced, and I facepalmed when Mattias Lieber founded the evangelical church of Objectivism and kicked off a clerical war with the Cathol-… I mean, Vaticine church. I honestly can not imagine being able to explain those things to new players with a straight face and without the impatient nods of “Yes yes, heard it all before” from their side. 7th Sea, in my mind, crossed the border into the Uncanny Valley of RPGs at that point. 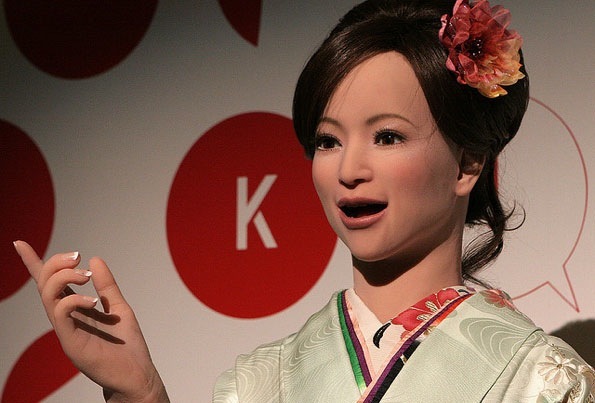 For those of you who don’t know: The term “uncanny valley” is most often used in modern technology when talking about robots that are made to look incredibly human, but still have that certain aspect of inhumanity, which makes them overwhelmingly awkward to look at (here’s an example). In the context of RPGs, I’d like to use this term for game worlds that try to be close to something the players are familiar with, but ends up being too close and stumbling into the territory of “nice try” at best and “laughable” at worst. It’s that point when you start asking yourself: Why do we need a fictional setting in the first place? We could just use actual Europe instead – the handful of fantasy elements are easily implemented. And honestly, I’m actually strongly contemplating that option, now that I think about it. I’d rather just talk about the Vatican and Charlemagne and Martin Luther than using their blatantly obvious counterparts and seeing the embarrassed smirks on the players’ faces. Because I DO want to play this system, I just don’t want the suspension of disbelief being destroyed by stupid things like these. Now I know that this game wasn’t written by Europeans. AEG are based in the USA and back then (late 90s, early 2000s), Americans where the big target audience for their RPGs. You really have a quite similar experience going into Legend of the 5 Rings with a bit of knowledge about East Asian culture and maybe a smattering of Japanese in your mental lexicon. However, L5R’s own Rokugan is not nearly as over-the-head-obvious as 7th Sea’s attempt at worldbuilding. AEG tried to give people something to easily relate to, but what they achieved is quite literally (and rather incompetently) cloning our own culture and history (Europe’s, that is) and pass it off as their own.